It’s quite obvious to anyone who has met Dr Dave Albert (founder of AliveCor) that he’s lightening years ahead of his peers. Whilst technologists are seemingly preoccupied with selling hats to one another, Dave operates at the place where the rubber hits the road. Whilst I don’t want to in any way dismiss the fundamental importance of the growing legions of mHealth advocates who have marketing, business, telco, social media and electronics backgrounds who have lots of important work to do in convincing Mobile Operators that mHealth presents a consumer business opportunity because so many of them don’t realise this eg. O2 UK/Telefonica recently repositioned it’s new health unit O2 Health as a GP software provider of sorts (a significant change in direction from the ambitious high stakes plans it announced only 6 months ago). In my experience it’s critical and urgent for mHealth to find support from a key group of clinical domain experts (like Dr Albert) who can endorse these technologies to their peers before we’re going to see the majority physicians feeling confident about committing their patients care to mHealth solutions. It’s quite obvious we’ve gone beyond the “toy” stage (companies like AirStrip Technologies have seen to this) with mHealth but it’s the next phase that in my opinion will be most difficult and protracted. who spoke on the same panel as Dr Albert at the recent TCT Conference I attended in San Francisco told the audience of his companies interest in mobile because it could offer an “incremental opportunity to improve patient outcomes”. Of course you could argue that it’s best for us to just let this disruption happen and let these brands wither as they miss out on the opportunity but in my opinion the protracted sales/education cycles and specific Healthcare expertise within these companies makes it much better if we can have moves forward led by collaborative efforts between device makers and service providers. I also think this is compatible with the medical device company business models eg. letting them use their expertise to be a part of the solution to existing healthcare problems rather than just resisting the device succession that will happen otherwise. As the person who predicted the emergence of mHealth events (and helped start the first together with Informa – Europe’s leading Telco/Medical Publihser/Event organiser) it comes as no real surprise that nearly 4 years later I’ve counted more than 70 in 2011. This isn’t a bad thing. There are lots of conversations and debates that need to be had at a global and local level before mass market adoption of innovations can be expected. Events help to increase the organisation of an industry and the financial support (sponsorship money etc) being thrown behind mHealth events by firms such as Vodafone, AT&T and ChinaMobile indicate the strong levels of interest from each side of these converging sectors (Health and Mobile). But the real challenge for me remains: we need to start either taking clinicians to these events OR taking stories of mHealth innovations to where the clinicians are. From my perspective Dr Albert is doing both and the mHealth market will be boosted no end if we can identify and elevate awareness of similar efforts by clinicians. If you disagree with me consider this. There wasn’t a single practicing clinician attending the recent Mobile Healthcare Industry Summit in Brussels. Conversely at the recent Telecare and TeleHealth Conference that I spoke at in London (the biggest telecare event in Europe attended by 800+ delegates) there wasn’t a single delegate from a mobile operator (despite it being held a stones throw from the office of the mHealth team at the worlds largest mobile operator). Currently the back end of the AliveCor service is developing in the best possible way: based on feedback from users. It’s now very elegant and easy to use. For the purposes of putting the technology to work out in the community in the UK/Ireland there are some regulatory issues we had to adhere to but in general the reports are sent up to the AliveCor server where cardiologists can read them and provide feedback. We then provide patient information through the 3GDoctor.com website using the patients name, mobile number and email address to register them (long random one time use passwords are automatically generated and sent to the patients email account). 1) Hand the patient a smartphone and play a mobile video to them. This features one of our Doctors explaining what the device is, how it works and cautioning them as to the novel experimentation stage that the device/service is at, the fact that it will not effect their health and that they should not feel under any obligation to continue, that they shouldn’t consider this to be a NCT/MOT for their heart and should not put off seeing a Doctor because they’ve used this device. We also explain that by using the device they’re also helping with the development of this new technology. The video also shows them how I’d like them to hold the device and for how long. 2) After agreeing to proceed the Doctor snaps their picture and their business card (if they don’t have one they have them write their name/email/number on a piece of paper and snap a photo of that instead). 4) Automatically the results are recorded and uploaded to the remote server. 5) The session is finished and the Doctor can review the ECG and the readings are also read by a remote cardiologist. 6) If there is any concern this is either noticed by the Doctor or highlighted by the remote cardiologist on the Doctors account. 7) Using the time stamp the Doctor can identify any particular patient for follow up. 8) Doctor calls the patient, explains the concern and tells them to sign into the 3G Doctor account we’ve set up for them to complete a questionnaire and to download their consultation report containing the information they should show to their Doctor. 9) The Doctor checks back with the patient in 7 days to confirm they’ve followed up and to get a progress report. A major problem I notice with new mHealth concepts is that people try to apply them to situations that went before as it’s easier to consider this than the moving goal posts that their existence may have created. I’ve noticed that incredible mHealth innovations can be prolific failures when you try to do this and the innovation from Alivecor is no different. This article by Ariel Schwartz at FastCompany (who has also been lucky enough to get early exposure to the device) highlights this brilliantly. I can’t see how anyone thinks it fair or sensible to compare this innovation (and the new opportunities it will create and empower) and continuous monitoring services prescribed by a Doctor (which are already widely available). To me it’s as nonsensical as comparing a Rolls Royce and a Yacht as it’s futile to ask yourself which is actually better because they are different. The Everist Genomics device is capable of helping one person a day who is already being investigated by a registered Doctor who is thinks the patients heart functioning needs further investigation and has already been convinced to buy this device to use with their patients. On the other hand the Alivecor helps an unqualified health worker screen an entire workforce in a afternoon. It works were there is no care system which is a system familiar to most people in the world. It’s worth being mindful that for most people in the world it’s not about good care or bad care it’s about any care and this isn’t always a developed Vs undeveloped world thing related to money (or the lack of it) because many adults who have health insurance/coverage have their own personal issues that deter them from proactively seeking health advice and information. AliveCor’s device opens up new opportunities most of which we never had before. Just like we found when we launched 3G Doctor there is nothing as enlightening as actually launching something and making it available to patients and clinicians to experience. I see no reason why this isn’t being embedded into training bicycles, health kiosks, games consoles (to help make it all extra physical). Imagine the potential for your ECG to act as an access key to your car? Imagine the security advantages such a key could have for specific locks eg. the ignition key on a cash in transit vehicle (where you might not only want a specific driver but also that he only allowed to drive it in a relaxed state? Imagine a mobile phone that just recorded this data as you held it during normal use? Imagine the potential for Health by Stealth with subtle screen color changes making you more aware of your stress levels? Imagine salespeople using these devices to influence their behavior so they do more business (“keep it grey to make a sale today”)? b) Opening up the APIs for game developers. We’ve been looking at this area for some time (if you’re interested in commercial opportunities I’d thoroughly encourage you to connect with HealthSmart – developers of the Smart Agent app). How about a James Bond game where you need nerves of steel to stay tool and win the game of Poker at the Casiono Royale? How about a “go to sleep” app that’ll help you unwind by hitting mental goals. With ever increasing levels of home and out of office working I think it’s interesting to think about the ability for technology such as this integrated into mobiles to deliver a key engaging component to employee wellness programs helping to not only manage stress but also to help lone workers optimise their call performance via biofeedback mechanisms. One week with the AliveCor ECG and I had an experience that for me highlights the trust patients have with Doctors that is all too often ignored/overlooked by technologists. I met for an after work drink with a leading consultant cardiologist and after a few trials he insisted that I let him borrow the device because there was no time to get him his own one. “What you gave him your mobile? with your SIM card in it?”. “Ok you can but only once you’ve actually saved the life of a friend or member of my family OK? The IT guy was perplexed by this but I think it really highlights the trust patients have with Doctors. Yes for me there is really only one person I’d trust with my mobile: my Doctor. I found a very interesting difference between Irish and British patients. The Irish patients with private insurance showed a reluctant to test that I never saw with a British patient (who can access the free NHS services) that seemed to be because of a fear of increased insurance premiums as a result of being “medicalised”. Note: this is an actual patient experience but the patient has agreed for us to share details of it here as it highlights a multitude of the issues diagnostic mHealth devices face. We’ve taken it upon ourselves to strip out anything that might identify the patient. 3) “So who’s the cardiologist who read this ECG?”. Well I never met the cardiologist he just fed info back to a Doctor (who’s name/registration number is on the top of every page) who then called me and told me to go online and print off this report and give it to my GP”. 5) The Doctor then proceeded to take the patients hand. The patient thought it was an act of kindness and was pleasantly surprised. The Doctor then asked if she felt okay as she was in a AFib right now. The Doctor then proceeded to conduct a blood pressure test and got a reading of 160/80. 6) The patient was referred immediately to a specialist unit. 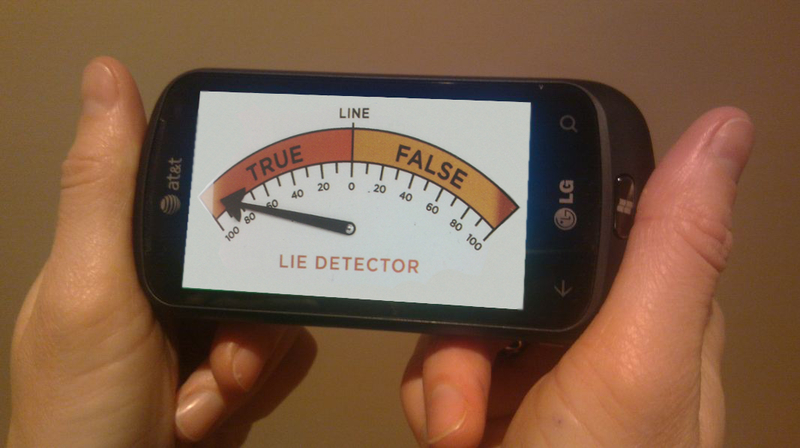 Had it not been for the test this patient reported that they would never have gone forward for a health check as they’d “never had any health issues”. 7) The patients primary care Doctor got in touch with us and we had a very interesting conversation. Following this up they provided us with half a dozen really good ideas about how we could add value to the patient documentation we had provided to the patient. WHAT DO CLINICIANS THINK OF THIS DEVICE AND PATIENTS IT CAN REFER? So I’ve met with and shown/demoed the Alivecor device with a wide range of medical and IT professionals. Everyone from the lowly medical student and software developer right up to the practice nurse and Hospital consultant and it’s clear that it divides opinions. “Unneccessary”: a large number of Doctors think it’s an unneccessary procedure that will lead to pointless concerns amongst patients who would be better off not knowing. Some compare it to the Baby Ultrasound DVD services that GE used to offer in USA shopping malls. “Something I want”: a large proportion of healthcare providers appreciate this would be a great consulting tool. Several mentioned that the credit card sized sensor would be cool way to occupy patients when they are inputing data into their EHR’s. “A very interesting care management tool”: a Cardiologist explained to me how the increasing success of CVD treatments are now impacting on primary care as GP’s and increasingly responsible for the long term management of a patient who’s primary treatment may have been several years ago. “A nice way to ration”: some healthcare payers told me that tools like this on a Doctors belt are going to become very important as GPs come under wider criticism for rationing of care (and this is before GP Commissioning comes into force!). I think it’s easy to see the opportunity for improved documentation and reassurance this could provide. “Unethical”: I found it interesting that several people noted that in some markets unscrupulous employers may use this to screen prospective employees (so they avoid hiring/training those with health problems) or that some men may use it to screen the health of prospective brides. 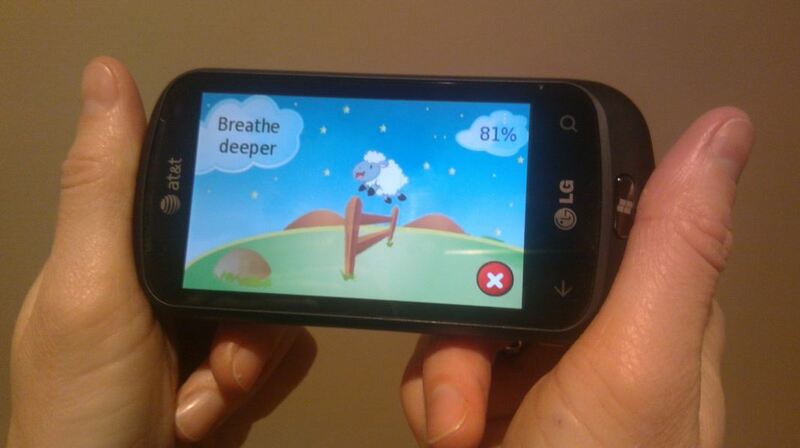 “Can you imagine what we can make with this?”: mHealth leaders see a cascade of specific opportunities from a game to count sheep and send you asleep (speed controlled by your Heart Rate of course) to a stress management program. “Wow I need the API for this OK?”: software developers want to make games with this device. Smartphones featuring mHealth technologies such as ECG will increasingly come to transform the point of care and connecting specialists to members of the public in a variety of new times and places. These represent exciting new opportunities for Healthcare professionals to add value to peoples lives but it’s first going to force a reform of the conventional short, rushed, uninformed (eg. in-person taking/documenting of the patients history) and largely undocumented Doctor consultation process that continues to fail Patients, Doctors and care providers. 1) Patient accessible electronic healthcare records. 2) Patients need to be provided with access to interactive patient history taking tools so they can effectively be listened to (= share their problems, issues, concerns, websites and diagnostic data) by their carers. 3) Doctors need to be able to find a way to let their patients interact with them (or their colleagues) digitally. If you think patients can’t give their history online go and look at the stats which will show you how many seniors are already booking and paying online for holidays, insurance, train tickets, taxes etc. or using social networks and Skype to stay connected with distant relatives and friends. If you think consumers aren’t going to be buying medical devices for their own personal use visit an Apple retail store and look at the connected BP Monitors, Weighing Scales, thermometers, pedometers, activity/motion sensors, cameras, etc that are already on sale. Buy an Alivecor ECG today & get a discount + your first read for free! Thanks for sharing, thought provoking and lots of grist…. Doctor Albert, congratulations on this anmziag triumph! This innovation has the ability to absolutely revolutionize healthcare in so many ways both in the healthcare provider setting as well as the individual user’s own health. As a career firefighter/paramedic, I would very much like to be in contact with you regarding some ideas to incorporate your device in the setting of preventing/minimizing the number one killer of firefighters ..AMI. this dietary supplement. It is accomplished with food binding of fat calories. emphasis on feeling great and also healthy and balanced.